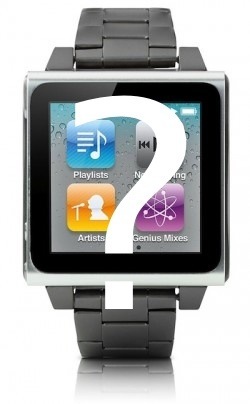 Now EVERYbodys Got One.com: Apple iWatch Insight ? "The company has begun hiring “aggressively” for the project in recent weeks, say people familiar with Apple’s plans for the wearable device, a move that shows it has stepped up development but which raises questions over the ability of its own engineers to develop wearable technology." Reporting without insight. Without even basic awareness of the bigger picture. The context is extremely important. It's what's been happening around iWatch reporting this year. Such as all the rumors on the technologies that might be used, Apple filing for trademarks starting in Dec, possibly related patent filings, and the hiring of a former CEO of fashion house Yves Saint Laurent. Given all that, the notion that Apple has only just begun to hire in "recent weeks" is ridiculous. And then criticizing Apple's "ability of its own engineers to develop wearable technology" is just too many shades of wrongness. I don't know what Apple is working on. It seems reasonable that it's some kind of wearable technology. Especially when you add into the thinking that many of their competitors are working on or shipping something in this space. Personally I hope they do ship something. And I think a lot of people, including me, will think it's wicked cool. And then there will be pinheads that will want to trash it, just because it's Apple.